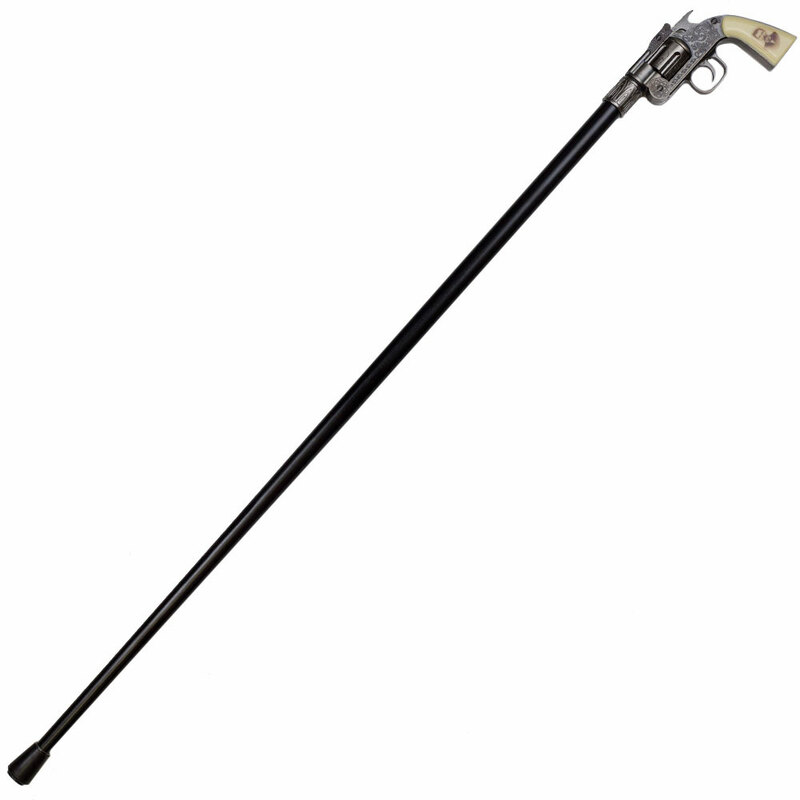 Doc Holiday Revolver Gun Handle Walking Stick. 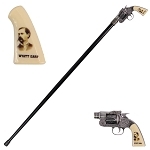 You can own a piece of American history here with this non-firing replica Revolver in the form of a cane. 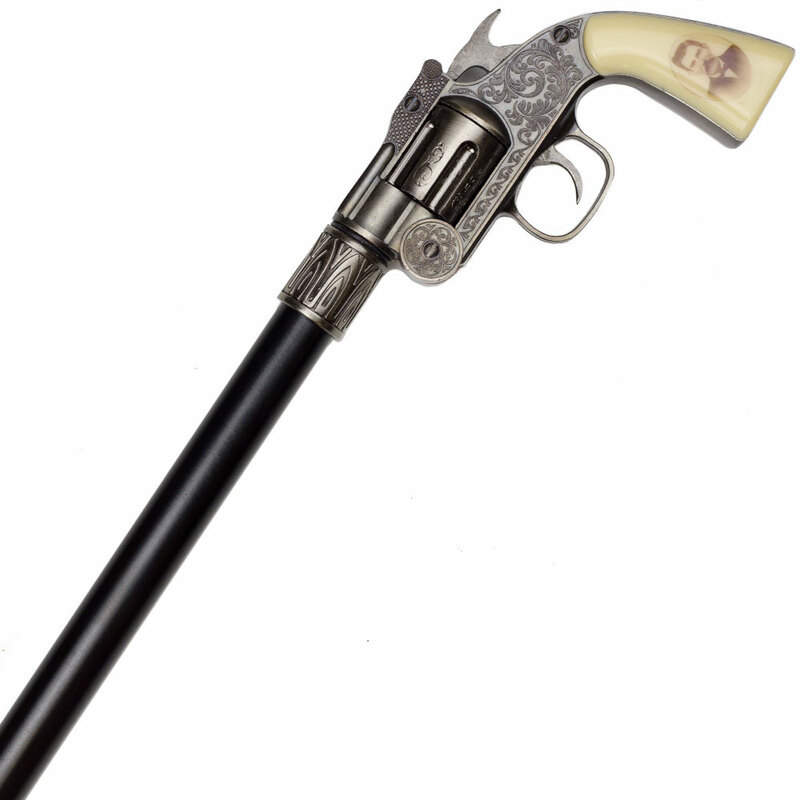 This accurate replica of the Revolver is made of solid aluminum. 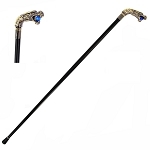 Laid into the handle are faux ivory grips. 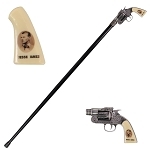 The revolver cylinder spins freely, The hammer and the trigger are functional. 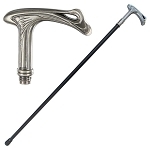 You can use this cane for walking, styling, and showing off your American heritage. 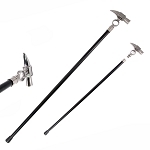 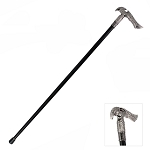 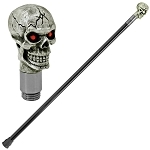 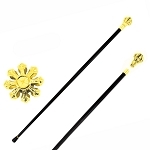 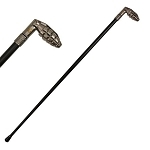 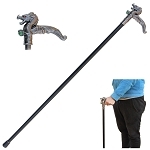 The black scabbard cane pole is stainless steel and has a rubber foot for comfortable walking.